In his remarks, Senate President Bukola Saraki called for immediate implementation “so that our people will begin to benefit from the objective of the budget and the opportunities it offers.”House of Representatives Speaker Yakubu Dogara also urged the executive arm of government to ensure expeditious implementation of the budget. The Ministry of Power, Works and Housing received N682,959,550,242; Ministry of Transportation, N251,420,000.000; Ministry of Defence, N157,715,439.613; Ministry of Agriculture and Rural Development, N149,198,139.0 37; Ministry of Water Resources, N147,199,614,645; and Ministry of Industry, Trade and Investment, N105,156,176,854.Ministry of Education got N102,907,290,833; Ministry of Health, N86,482,848,198; Ministry of Environment, N17,492,955,833; and Ministry of Niger Delta Affairs, N58,082,611,977. The Federal Government’s special intervention programme got N150,000,000,000; grants and donor funded projects, N169,919,791,292; and zonal intervention projects, N100,000,000. The National Assembly, the National Judicial Council, the Universal Basic Education and the Niger Delta Development Commission (NDDC) also got approval for statutory transfer worth N139,500,000,000; N109,063,630,546; and N81,882,555,891. Nigerians, meanwhile, have been reacting to the passage of the budget.The Chairman of the Senate Committee on Environment, Oluremi Tinubu, expressed concern over the low allocation to environment, saying the amount cannot tackle the Ogoni cleanup.She spoke at the fifth Impact Plan Retreat organised by the National Environmental Standards and Regulations Enforcement Agency (NESREA), yesterday, in Keffi, Nasarawa State. The Registrar, Institute of Credit Administration (ICA), Dr. Chris Onalo, urged government to compensate for the delay in passing the budget by releasing funds for infrastructural development of key areas of the economy.He said: “We have put in a lot of years to nurture our democratic principle and it is important that the legislature and the executive put aside any form of personality consideration. It is quite clear that Nigerians should not be denied any form of economic prosperity. Nowhere in the world will Nigeria be congratulated for a budget that should have been passed early enough in the interest of the country. “We are supposed to have 12 months to make good use of the budget. The delay means that Nigeria has been unfortunately tied down and moved out of economic activities during the time the budget was delayed.”The President of the Lagos Chamber of Commerce and Industry (LCCI), Babatunde Ruwase, regretted the delay. He said the risk is that recurrent spending will be fully implemented while capital projects suffer implementation deficiency. 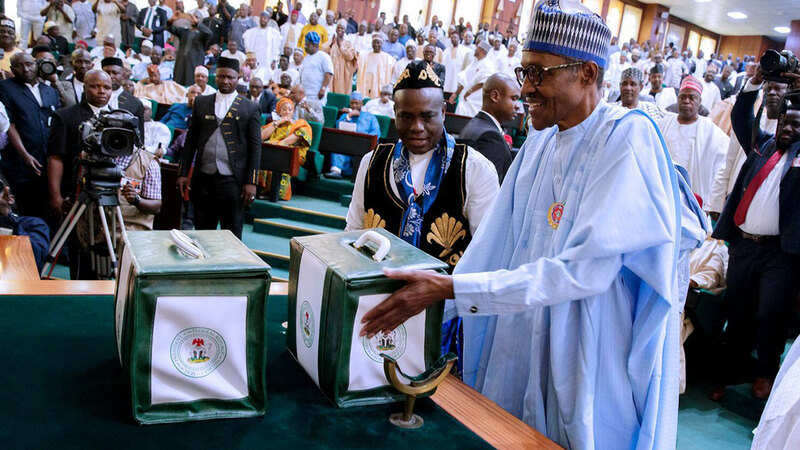 Meanwhile, the harmonised Petroleum Industry Governance Bill (PIGB) approved by the National Assembly March 28, is yet to reach Buhari’s desk for assent, the Presidency said yesterday. The Senior Special Assistant to the President on National Assembly Matters (Senate), Senator Ita Enang, in a statement said his findings revealed the bill is still undergoing standard operating legislative processes preparatory to being transmitted to the president. “Further to several enquiries by the media, interest groups, and the public in respect of the named bill, may I please state that the said bill has not yet been transmitted by the National Assembly to president,” he said.The implication, according to Onalo, is that the PIGB may suffer more delay and dampened enthusiasm, resulting in investment losses in the oil and gas sector.